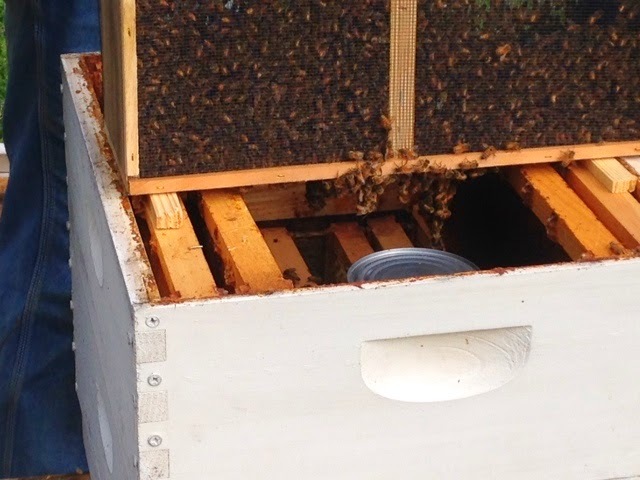 No success overwintering bees this year. It was just too cold for too long. 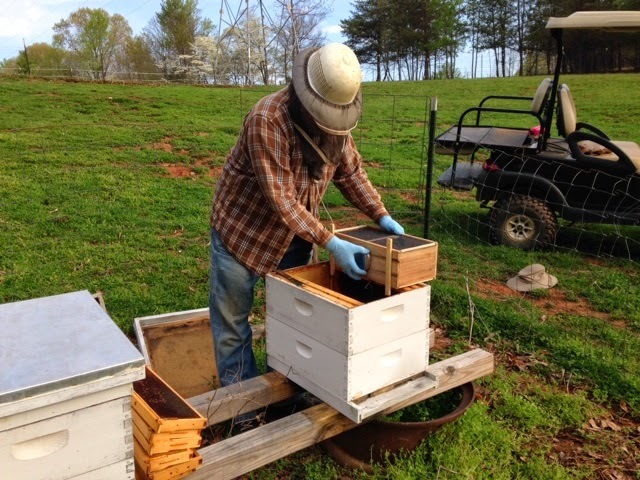 There was honey in the hives, since we wanted to make sure they had fuel for the winter. Colony collapse syndrome for one of the hives, but the other one had a knot of bees trying to stay warm. 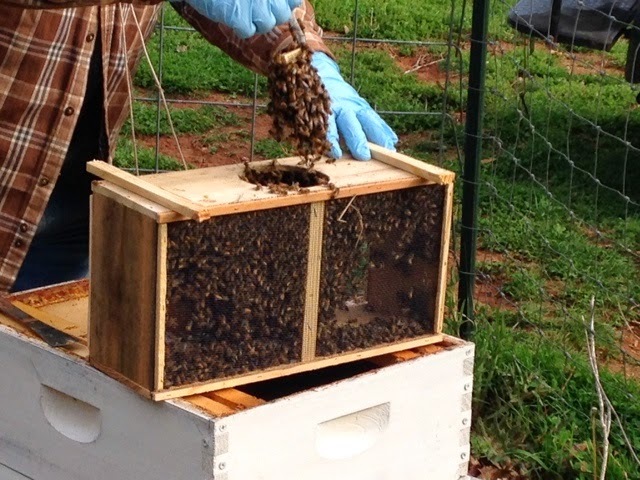 This year we decided to do one hive, and prep the other for possible swarm. Here is PapaJohn pulling out the sugar water can. Bees pouring out of the package. Hoping for some honey this year!